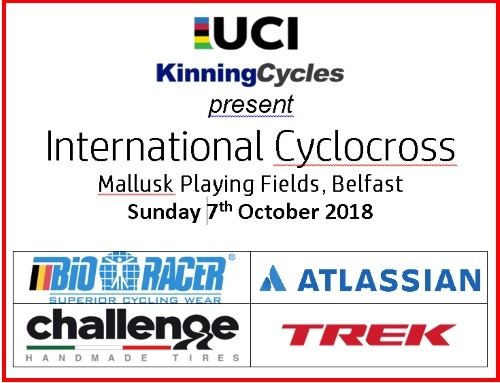 The Irish cyclocross scene both north and south of the border has seen phenomenal growth in recent years and it takes another huge step forward this coming season with it’s inaugural UCI race, the Bioracer – Atlassian International Cyclocross, promoted by Kinning Cycles, taking place in Belfast on Sunday October 7th. The event is also supported by co-sponsors McKinley Contracts. The event, a UCI C2 graded race, is the first of its kind ever to take place in Ireland and will see witness to international riders from the USA, Italy and France so far as well as the best riders on the Irish domestic circuit. The Bioracer – Atlassian International Cyclocross boasts one of the highest prize funds for any single day bike race in Ireland, with almost 4,000 euro spread across the UCI events. Women will receive equal prize money to men.